Simon Marius was the first to observe the Andromeda galaxy through a telescope. Born, Antoine Henri Becquerel, Nobel 1903 "in recognition of the extraordinary services he has rendered by his discovery of spontaneous radioactivity"
J. R. Hind discovered asteroid #23 Thalia. Gustav R. Kirchhoff described the chemical composition of the Sun as determined using spectroscopy. Freeman John Dyson (15 December 1923 - ) is an English-born American physicist and mathematician who moved to Princeton after World War II. In the following years, Dyson was responsible for demonstrating the equivalence of the two formulations of quantum electrodynamics which existed at the time - Richard Feynman's path integral formulation and the variational methods developed by Julian Schwinger and Sin-Itiro Tomonaga. From 1957 to 1961 he worked on the Orion project, which proposed the possibility of space-flight using nuclear propulsion: a prototype was demonstrated using conventional explosives, but a treaty banning the use of nuclear weapons in space caused the project to be abandoned. In one of his scientific papers, Dyson theorized that a technologically advanced society could completely surround its native star in order to maximize the capture of the star's available energy. Eventually, the civilization would completely enclose the star, intercepting electromagnetic radiation with wavelengths from visible light downwards and radiating waste heat outwards as infrared radiation. Therefore, one method of searching for extraterrestrial civilisations would be to look for large objects radiating in the infrared range of the electromagnetic spectrum. Dyson conceived that such structures would be clouds of asteroid-sized space habitats, though science fiction writers have preferred a solid structure: either way, such an artifact is often referred to as a Dyson sphere. As of 2004, Dyson was serving as the President of the Space Studies Institute, the space research organization founded by Gerard K. O'Neill. In 2018, he is on their Board of Trustees. Y. Vaisala discoverd asteroids #1488 Aura and #1503 Kuopio. Goethe Link Observatory discovered asteroids #1765 Wrubel and #1853 McElroy. Died, Wolfgang Ernst Pauli, physicist (quantum mechanics, spin, relativity), Nobel 1945 "for the discovery of the Exclusion Principle, also called the Pauli Principle"
The Italian-built satellite San Marco 1 was launched on a NASA Scout booster by an Italian crew. NASA launched the Gemini 6A Earth orbiting mission carrying Walter Schirra and Tom Stafford to rendezvous with Gemini 7 in Earth orbit. With the launch of NASA's Gemini 6A mission, four people were in space simultaneously for the first time. 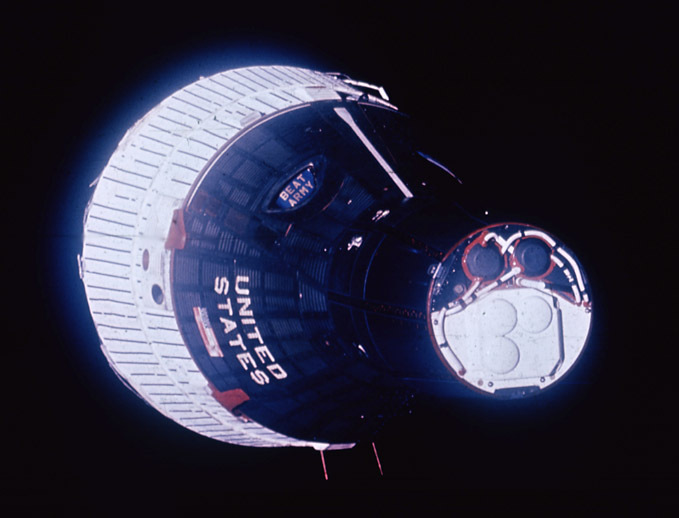 NASA's Gemini 6A and Gemini 7 spacecraft performed the first rendevous in space of manned spacecraft, the first time two spacecraft were maneuvered with respect to each other by their crews. Audouin Dollfus discovered the tenth known satellite of Saturn, Janus. 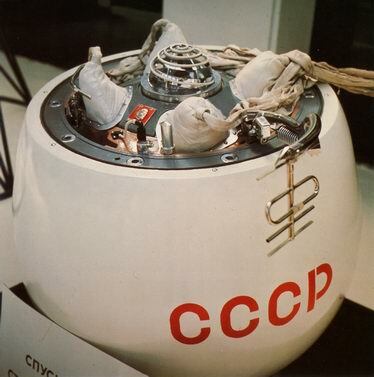 USSR Venera 7 landed on Venus and became the first spacecraft to return data after landing on another planet. The Apollo 17 LEM ascent stage impacted the Moon at 19.96 N, 30.50 E after astronauts Cernan and Schmitt returned to the command module. NASA launched the Intelsat 5 F-3 communications satellite for COMSAT Corporation. 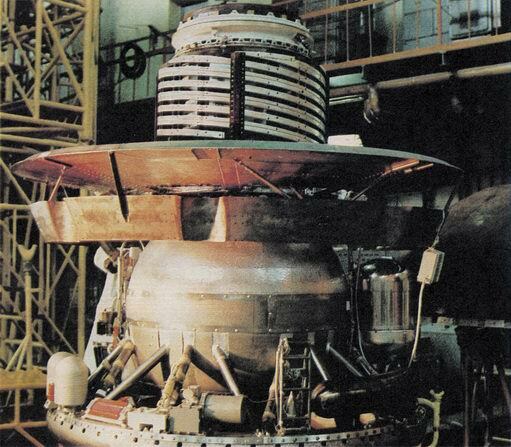 USSR launched Vega 1 toward Venus and Comet Halley. Eleanor F. Helin discovered asteroid 4957 Brucemurray. Boeing and McDonnell Douglas aircraft manufacturers announced that they would merge, creating the world's largest aerospace company. NASA's STS 88 (Endeavor 13) mission landed after assembling the first two components of the International Space Station. NASA's STS 108 (Endeavor) mission undocked from the International Space Station.